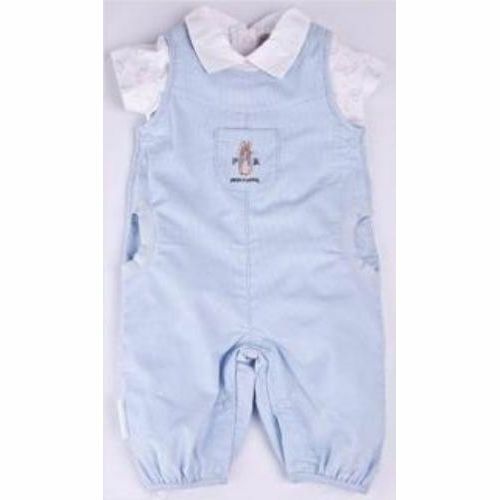 Peter Rabbit Dungaree and T-Shirt in Pale Blue. The dungaree is made from a soft fine-corduroy and features side pockets and a leg and crotch opening for ease of changing. The cotton t-shirt with a back neck opening features a fine one colour print on white, and a woven cotton collar.